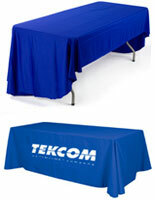 These 6' blue tablecloths with 1-color printing are great for events because they can display a company's logo or branding information. 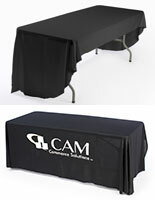 The linens come with custom graphics done through a heat transfer printing process. 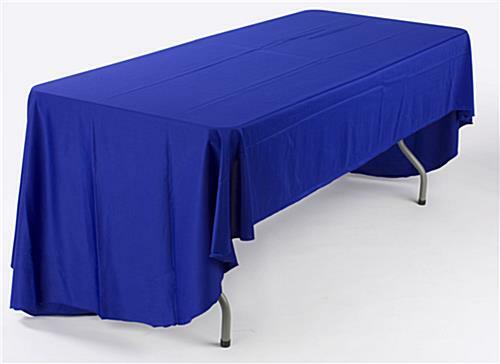 Each of the blue tablecloths with 1-color printing is made of durable polyester that is both fire retardant and machine washable. 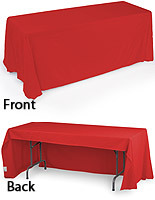 In addition, the throws for events cover (3) sides of the booth. 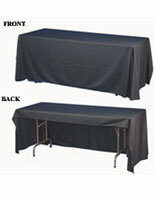 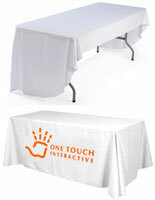 With a cool iron, wrinkles can easily be removed from blue tablecloths with custom graphics. 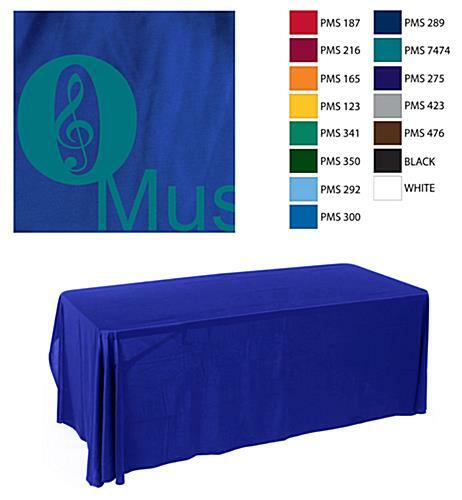 The linens with a personalized logo come with other imprinting options and in other shades. 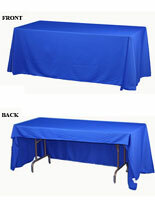 Please Note: Prices are based on single-image artwork. 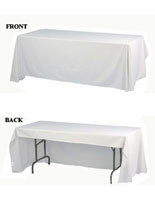 Orders with multiple images must be placed as separate orders. 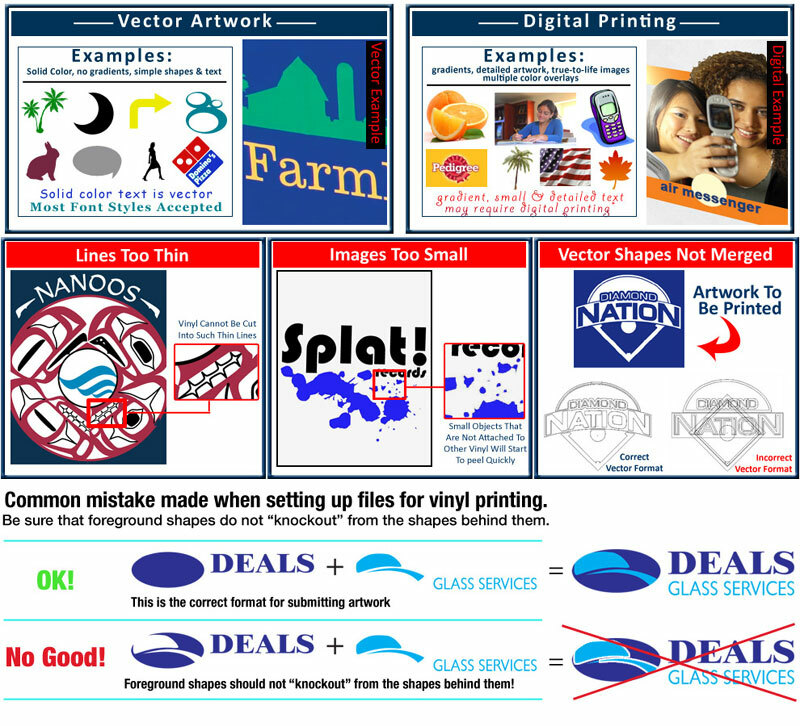 See our examples of correct and incorrect Vector Artwork formats.